The original "Mighty Morphin' Power Rangers" series is one of those pieces of my childhood of which I am under no rose-colored illusions about its quality. A goofy recut of the hit Japanese series, "Super Sentai," managed to turn a single formula (evil alien creates monster, Power Rangers overpower monster, evil alien makes monster grow, power rangers call on Megazord to defeat monster) into an 800+ episode phenomenon. Yet looking back on the series' roots, it's clear what a campy, goofy property this really was. Gritty reboots of 80's and 90's properties are all the rage right now, capitalizing on millennial nostalgia for the movies and shows they grew up with. As a childhood fan of the show, I approached the remake with trepidation. Would it be a pointlessly gritty retread, the kind of edgy-for-edginess-sake reboot that tries way too hard to appeal to newer, more jaded generation (far too cool for the brightly colored camp of the original) while capitalizing on millennial nostalgia? Or would it be just a silly as its predecessors? 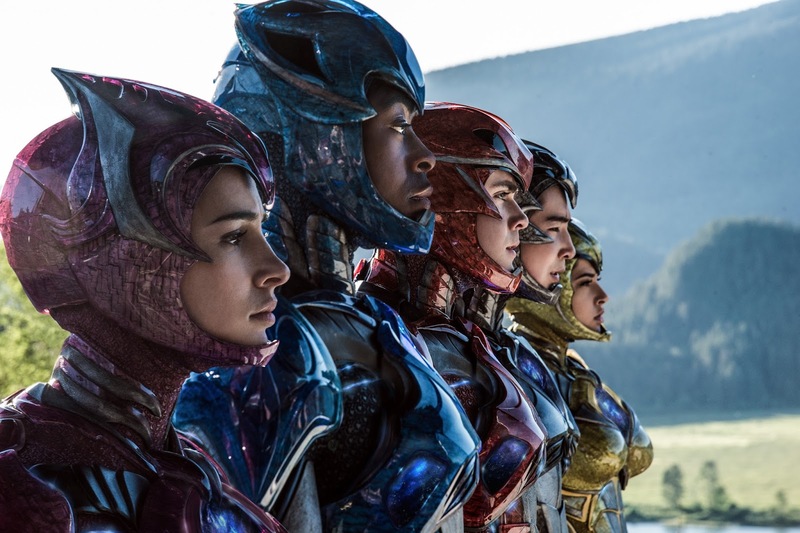 From L to R: Naomi Scott as "Kimberly," RJ Cyler as "Billy," Dacre Montgomery as "Jason," Ludi Lin as "Zack" and Becky G as "Trini" in SABAN'S POWER RANGERS. Photo credit: Kimberley French. Interestingly enough, director Dean Israelite (Project Almanac) walks a fine line between both scenarios. 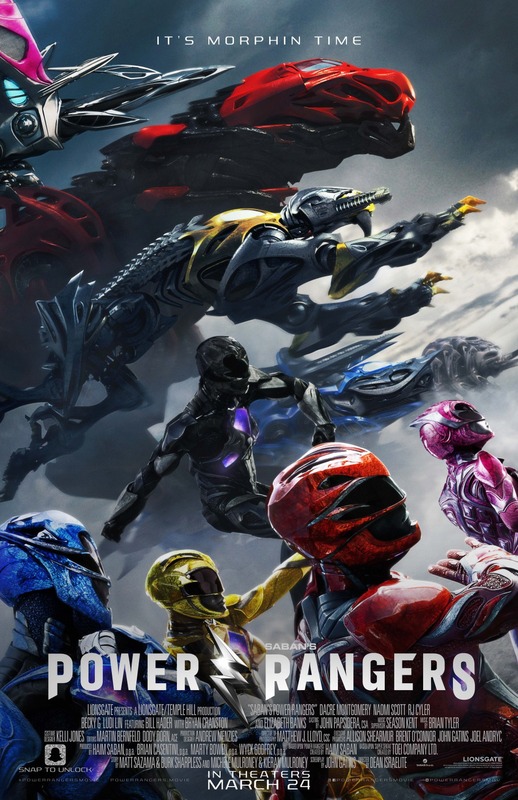 His Power Rangers is under no illusions about how goofy its premise is, and as a result never takes itself too seriously. It's certainly a more grounded take on the material, without the over-the-top camp that made the original so singularly bizarre. But it it manages to keep its tongue planted firmly in its cheek without being an ironic parody of itself. It knows it's silly, and embraces it; charting a new path and a new tone without straying too far from the foundations it was built upon. The rangers are still five "teenagers with attitude." In this case, five screw-ups who land themselves in detention before finding themselves in a quarry one night where they discover 5 mysterious power coins that appear to give them super powers. Underneath the quarry, they stumble upon an ancient spaceship, where a robot named Alpha 5 (Bill Hader) has been waiting with an alien named Zordon (Bryan Cranston), who is trapped in the walls of the ship. Zordon tells them that they have been chosen to be the Power Rangers, destined to protect the world from Rita Repulsa (a delightfully over-the-top Elizabeth Banks), a former ranger from Zordon's own prehistoric team, who seeks to resurrect her monster, Goldar, and destroy the world. In order to defeat her, these five teenagers from all different walks of life must rely on each other, because only together as one team can they defeat the evil sorceress and bring peace to the world. Power Rangers' theme feels especially timely. It was certainly always there (if a bit on the nose in its color assignments), but in the 2017 take there's a very blatant theme of strength through unity, where people of every color and creed must put aside their differences and come together for the common good to become something much better than themselves. The team is nothing without any single one of its members. The plot is pure superhero pulp, of course, but Israelite has a clear love for this material. Zordon, Alpha, Rita, Goldar, and the Rangers may only bear passing resemblance to their Clinton-era counterparts, but the un-pretentious spirit of the original series is alive and well - only new and improved. Sure, it's got more dutch-angles than you can shake a stick at, to let us know how edgy and new it is, and the 5 rangers are mostly bland and anonymous (Me and Earl and the Dying Girl scene-stealer RJ Cyler is the only real standout as the autistic Blue Ranger Billy Cranston), but there's just something so refreshingly un-ironic about it. Sure, it's a major visual departure from the TV series, but it really needed to be to be taken seriously. It's also practically a feature length advertisement for Krispy Kreme Doughnuts, but the product placement is so hilariously random and winking that it works in spite of itself. That's part of what makes Power Rangers so deeply entertaining - its refusal to be a gritty, serious-minded take on something so ridiculous, and its equally admirable refusal to condescend to that same material. Israelite is fully aware of how aggressively un-cool the original show is to modern sensibilities, but he doesn't leave its sense of humor behind. Those who didn't grow up with the show may find it a bit silly, but you almost have to admire the gleeful abandon with which it dives into this universe. It's a somewhat radical re-imagining, but it just works, managing to pay homage to its roots while crafting a new version of the familiar mythology. It's a wildly entertaining piece of fan service that has no illusions about what it is or what it's doing, embracing its inherent ridiculousness with an infectious sense of fun and excitement. It's a kids' movie for children of the 90's, and fans really couldn't have asked for more. This critic, for one, loved every minute of it. POWER RANGERS | Directed by Dean Israelite | Stars Dacre Montgomery, Naomi Scott, RJ Cyler, Becky G, Ludi Lin, Bryan Cranston, Elizabeth Banks, Bill Hader | Rated PG-13 for sequences of sci-fi violence, action and destruction, language, and for some crude humor | Opens today in theaters nationwide.